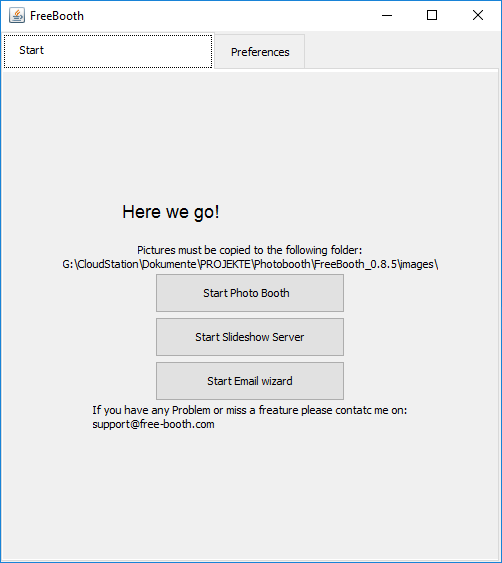 For HQ pics, FreeBooth works with almost every camera you can connect to your PC. Therefore, also with your DSLR. It supports many cameras and you can connect it via USB or WiFi. 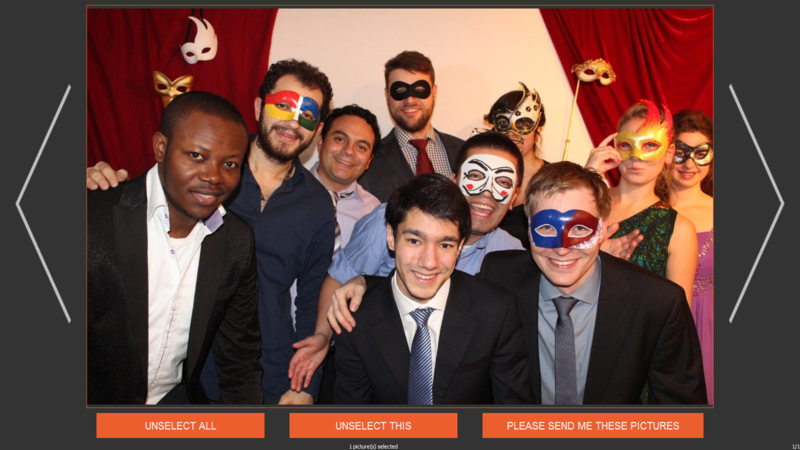 Everyone on your event can share the photos via email. FreeBooth is completely open-source and free. 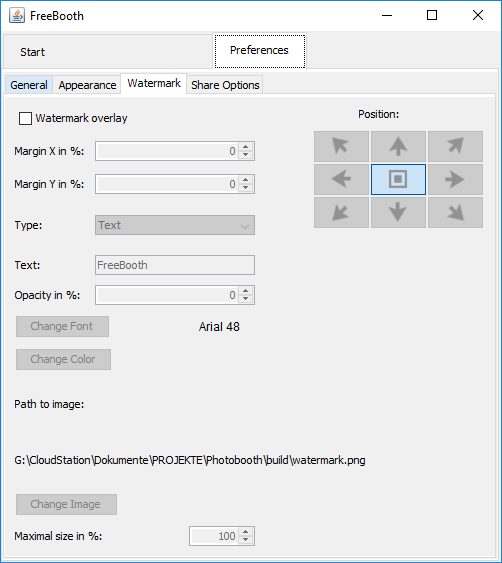 FreeBooth is written in java. So you can run it with Windows, Linux and Mac OS X.
FreeBooth comes with an embedded server. 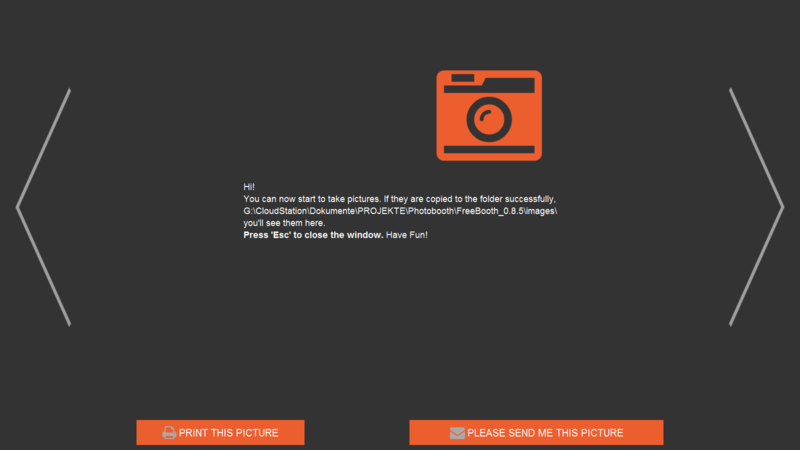 Therefore, you can see the last picture and a slideshow on every device which is in the same network as your PC. Often there is no internet at event locations. Therefore, FreeBooth works completely offline. You can send all emails when you have internet again, for example on next day, with the help of the emailing wizard. You can customize all colors that FreeBooth fits perfectly to your event. Besides the sharing via email, you can activate the printing function! For a faster sending, more pictures can be selected. You can add to your pictures a text or an image watermark. 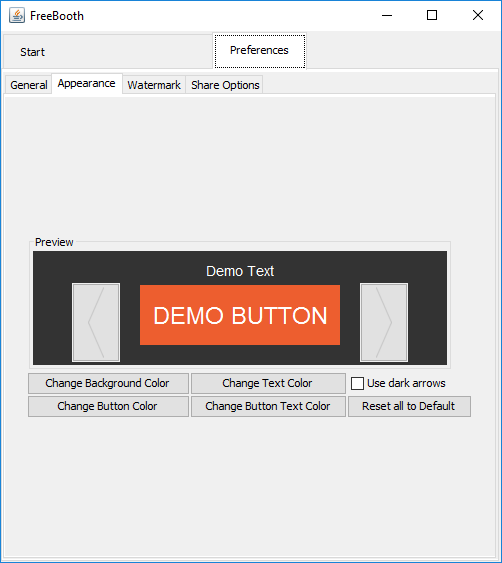 You can use your own colors for the background, the buttons and the text, that it fits to your cooperate design. Do you have any questions to the software? Or do you miss feature? Write me and I`ll try to help you.